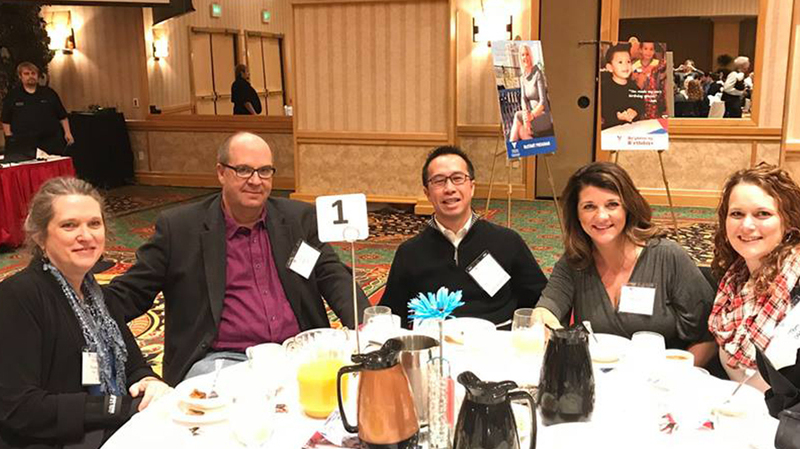 Team Estipona joined some valued clients at the Volunteers of America Northern Nevada Shelter from the Storm fundraising breakfast supporting the shelter's homeless services. We totally held it together (sniff, sniff) — not really — during the powerful and inspiring stories from former shelter residents who have turned their lives around. After hosting a birthday party at VOA this summer, we knew we'd be back to help this amazing organization. We rocked an assembly line — with yummy results for local fams. EG informs, inspires & delights Reno youth (probably).